In an effort to eat less meat but still get in some protein, I made a tofu based stir fry. Tofu has a bad rap, but this recipe is a good introduction to tofu because it takes on the taste of the sauce. If you are still scared of the white stuff, you can substitute baked chicken breast. Either way, the sauce is a great sweet and salty balance and the butternut squash is perfect for this time of year. Drain one block of tofu and cut in half lengthwise. Place both halves on a towel, cover with another dishtowel, and let the extra water absorb for at least an hour. 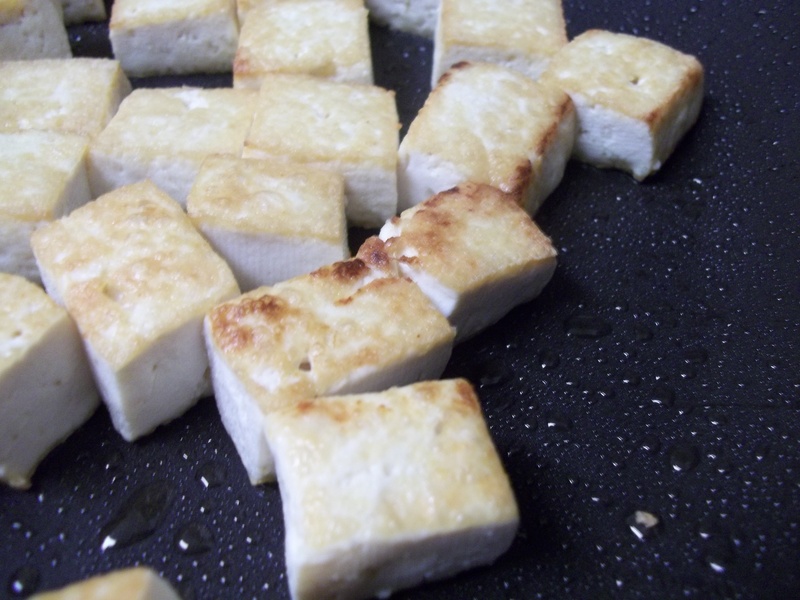 Cut the tofu into bit size cubes. Coat a shallow stir fry pan with oil and turn on medium-high heat. When the oil is hot, place the tofu cubes into the pan, leaving a little space in between each cube. Let the cubes sit for about 3-4 minutes, then flip each one over. You may need to add more oil. The cubes will start to crust around the edges. When the tofu is crusted, take the cubes off the heat and set aside. Cut one half of a butternut squash into bit sized cubes, or use a pre-cut package. At 375 degrees, roast the squash cubes on a cookie sheet with a light drizzle of olive oil, salt, and pepper. They will be done when easily pierced with a fork, about 20 minutes. In the shallow stir fry pan, put bite sized pieces of red bell pepper with a spray of oil. Cover for about 5 minutes and let cook, stirring once or twice. 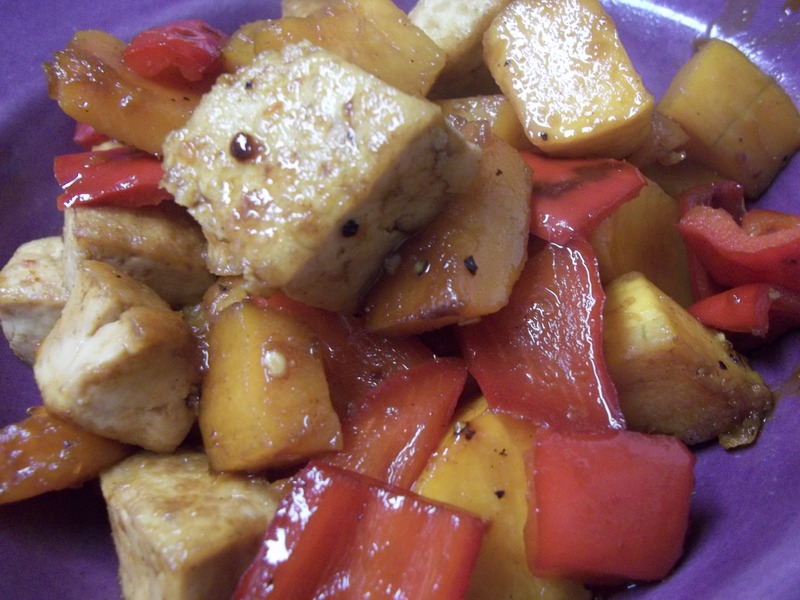 When the red pepper is soft, add the cooked squash and crusted tofu to the stir fry pan. Next add the sauce ingredients- rice vinegar, gluten free soy sauce, brown sugar, agave nectar, cumin, paprika, crushed red pepper, and cinnamon. Stir. Take off the heat and serve when the sauce has thickened and the squash, peppers, and tofu are heated through.